← A dip in the harbour. Why count all the birds? Fulmers at the top of the cliff. We are just entering the counting season on the island when we try to put a number on what birds we have here. This is when things go a bit mad. Visitors often ask us “how do we count all the mass of birds on the island?” as they watch thousands of puffins wheel over the island and cliff faces full of auks, and I then have to admit to them that we cheat a bit. It is not just a mater of counting birds as they whizz over head but we have a more systematic approach. Firstly from today onwards we start counting eiders and gulls. This we do by counting nests of both. We have a system where we get a group of 6-7 people over to the island for a few days and then systematically sweep every inch of the island counting nests and clutch sizes as we go. 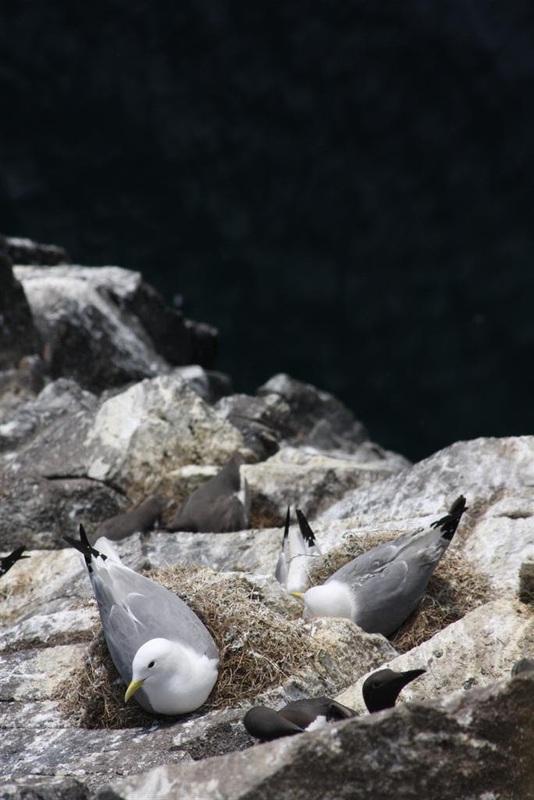 As soon as this finishes Jeremy starts counting all 5 species of cliff nesting birds, (guillemots, razorbills, kittiwakes, fulmers and shags) over the whole island and I count all the guillemots and razorbills in 20 plots five times on different parts of the cliffs. It is hard work, it means long days involving some planning, organisation, concentration and a lot of scrambling over rough terrain but what a fantastic way to experience the island. For a few hours your whole focus is on the birds and the island and the rest of the world disappears until you emerge blinking and sated with data sheets full of numbers. And that is the real purpose, it isn’t done because it is a nice thing to do (which it is) but because at the end of it there is a total for each species which because the same method is used each year can be compared to each other. 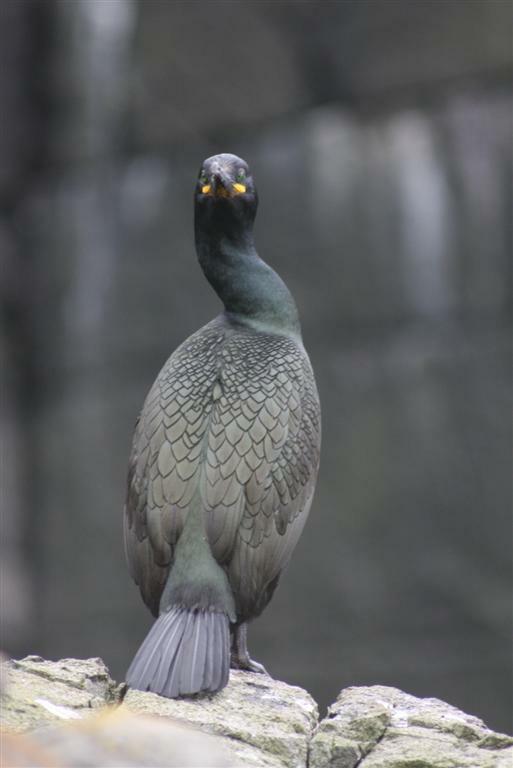 With a number of years data trends can appear and we get an idea of how the different bird types are doing. 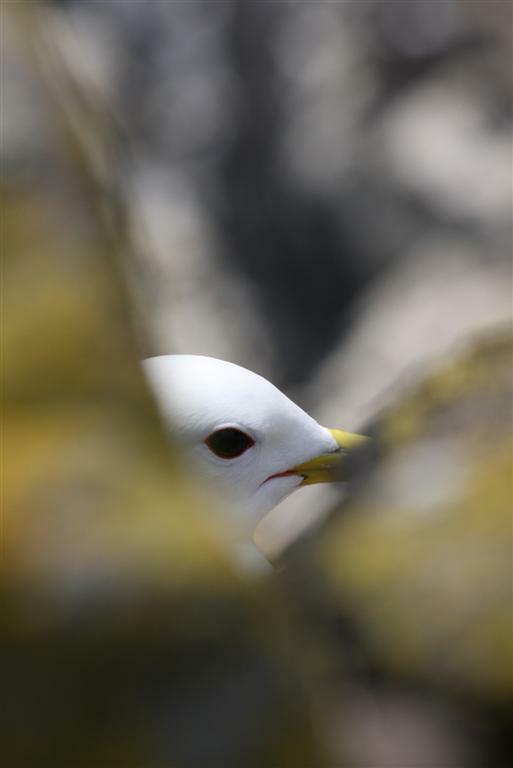 It is vital when saying that a certain bird species is declining or increasing that you have rock solid data to back you up. In the past in other jobs I have been to farms where farmers have told me that they don’t know what all of the fuss is about farmland birds declining as they have always seen skylarks everyday. But just seeing them everyday isn’t enough, a farmer that sees 10 pairs of skylarks on his farm when there used to be 20 might not notice the difference even though he has lost half of them. And the same applies to sea birds, you can still see huge numbers of puffins and kittiwakes on the Isle of May but only close monitoring has shown that between 2003 and 2008 the puffin population dropped from 68,000 pairs to 45,000 and the kittiwakes, between 1991 and 2011, have dropped from 8,000 to 2,000 pairs. 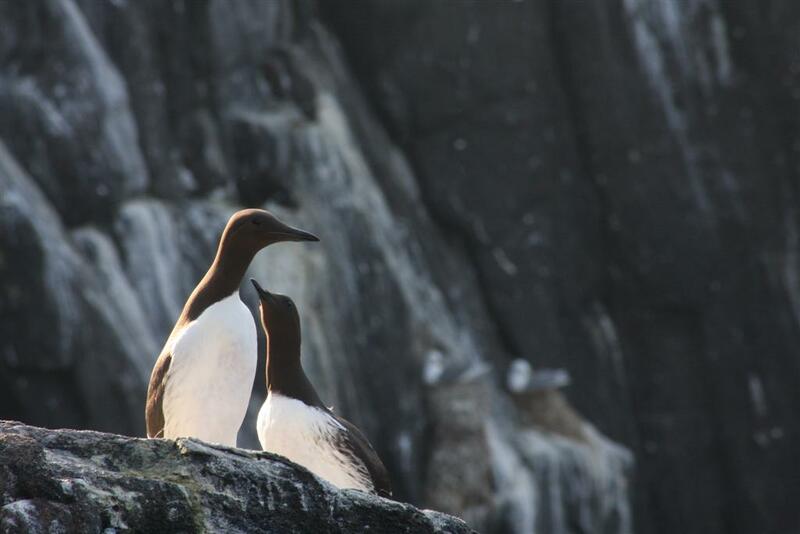 The value of this long term monitoring data is that it can be used to highlight the problem, raise awareness of the issues and then it can be used to lobby for better protection for the seabird population and marine environments so that the next generation will be able to enjoy thousands of puffins wheeling above them just as we have. 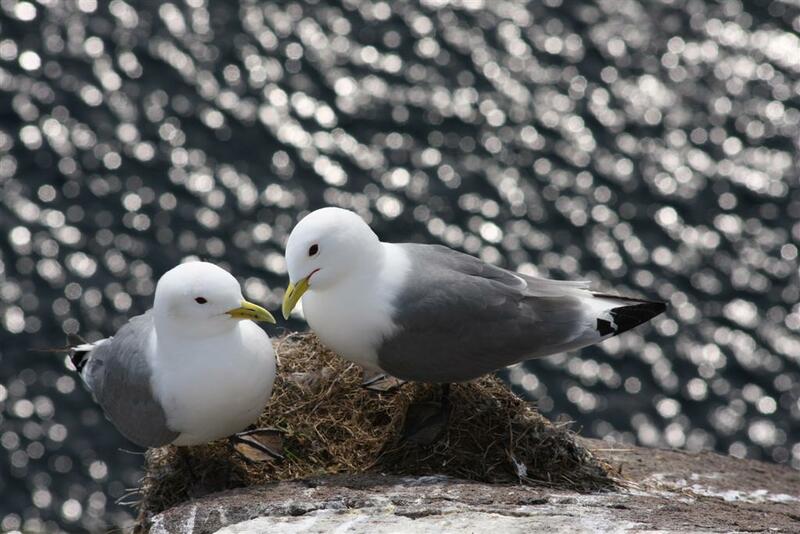 A kittiwakes view looking down a cliff. 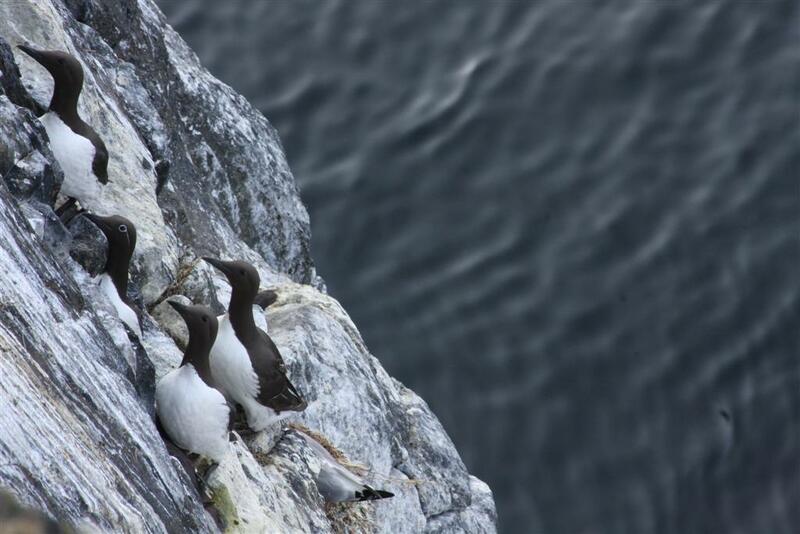 Guillemots don’t have to have much of a ledge to lay an egg on. 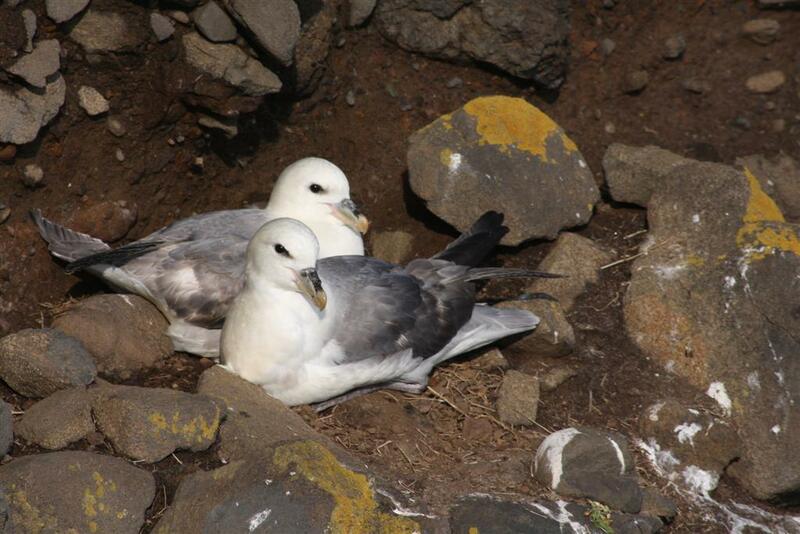 This entry was posted in monitoring, population counts, research, seabirds. Bookmark the permalink.